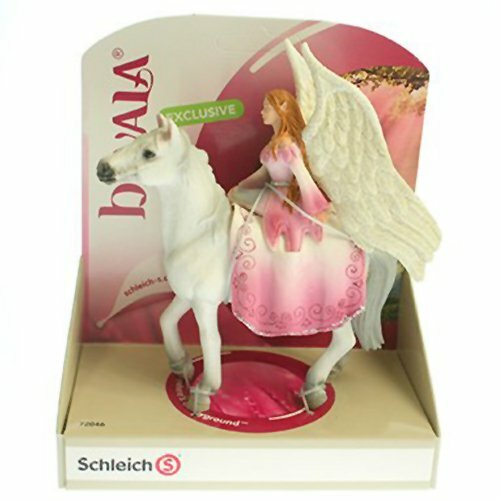 Schleich 72046 -Nuray, is the terribly beautiful princess of the shadow elves. This highly detailed, hand painted figurine shows the shadow elf princess riding on her dark horse. Nuray with Horse measures approximately 5.8'' Tall" x 5.5" Long. Made of durable synthetic material by Schleich.